It has been said “truth” is a funny concept. What is truth to one may not be to another because opinions vary from one person to another. “Truth” in this context consists of one’s opinion or point of view. By this definition truth can be altered, changed or even “made”. For example, the truth believed and espoused by MSNBC is far different than that of FOX News, both by the reporters themselves and by viewers. Real truth however cannot be “made”, massaged or opined as it is mathematical in origin and more an issue of black and white. The global financial system has gone awry where economic truth must be masked and hidden to cover the reality. Somehow our central planners think if the people “believe” something …then it “is”. I am here to tell you, no it is not. A perfect example of something completely out of whack but melded into the new “normal” are negative interest rates throughout much of Europe. These negative interest rates are no longer for only short dated maturities. Rates are negative in some cases out past 7-10 years! How can this be? Investors are willing to lock in a guaranteed loss for 10 years or more? Rates have been pushed negative of course because the central planners want people to spend their money rather than save it. You see, “velocity” has crashed because people have tightened their belts in a move toward austerity …something the sovereign treasuries and central banks cannot even spell. Please keep in mind whether it be euros, yen or dollars, the central banks have the ability to print as many of these currency units as they choose to. Negative interest rates guarantee less “units” returned upon maturity and give less than zero risk compensation to offset the “printing” that has already been promised. In essence, savers are PAYING for the privilege to lose “units” even when central banks are promising to do their best to reduce the value of these units. The madness of crowds I guess? Another example “truth” just does not add up is in the area of “swaps”. Just as GOFO rates in gold should never ever be negative, this also holds true for the swaps market. Currently, rates have gone negative which means the bankers and brokers perceived credit quality is actually rated higher than the issuing Treasury. Common sense would tell you if the U.S. Treasury were to default then no bank or broker with Treasuries in their portfolio would be left standing. I do not believe swaps have gone negative out of value “judgment”, I believe unencumbered collateral has become so scarce that mathematical insanity has become reality. Six months ago we were given a tip off this was coming. I wrote about it here titled “The Mother of all Margin Calls” http://silverseek.com/commentary/mother-all-margin-calls-14328 …and now the ugly truth has arrived! I would of course be remiss commenting without including the farce in the gold and silver markets. Yesterday’s post Thanksgiving and illiquid trading day saw some 18,000 contracts sold at the COMEX within a 30 minute timeframe. 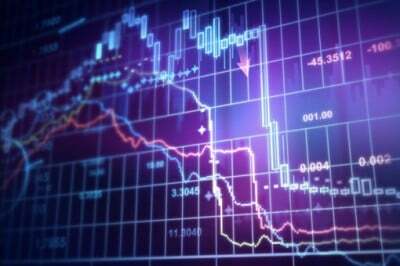 In fact, there were 4 single minutes which saw a total 7,000 contracts dumped on the market. For perspective, 18,000 contracts represents 1.8 million ounces of gold …while COMEX claims to have a grand total of 150,000 ounces available for delivery! 1.8 million ounces of gold is equal to well over one week’s production of every gold mine on the planet, 150,000 on the other hand is just over 16 hours! For further perspective, China has been importing over 1.3 million ounces of real physical gold each and every week and amounts to nearly 80% of all gold produced. Why is this important? China is importing each week nearly 10 times the total amount of gold COMEX has for delivery in total. Put another way, COMEX gold “pricing” rests on a foundation 10 times smaller than what China imports each and every week! 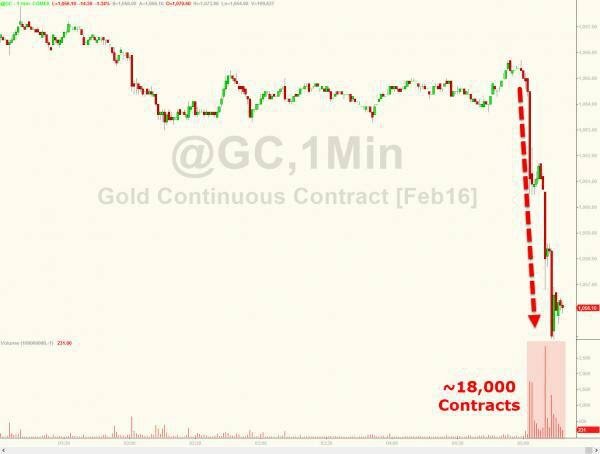 How is it credible that COMEX can sell 12 times as much “gold” …in just 30 minutes as they claim to have available for delivery? COMEX currently has a problem in my opinion. Their registered (dealer deliverable) category has not received any gold over the last two plus months and has done nothing but shrink to a level equal to just 16 hours of global production. First notice day for December gold is this coming Monday. With just one day left there are still 24,000 contracts open. If history is any guide, Monday will see a drop of 12,000 contracts and a 40% bleed down during the month. If this were to occur, we will see over 600,000 ounces standing with only 150,000 ounces available for delivery. We have seen this potential situation several times over the last couple of years but never with an available inventory as feeble as it is now. My point to writing about the current COMEX conditions is simple. Though COMEX currently “prices” gold, they have little to no inventory to back them up. China imports more in a single day than what COMEX claims they have to deliver. Nearly any Black Swan, be it a financial, geopolitical or military event will strip the COMEX of any ability or credibility to continue as “manipulator in charge”. I have asked in several writings why the CFTC has allowed the pricing mechanism to be so corrupt after each blatant raid such as this past Friday’s. They found “nothing actionable” in the silver market which in my opinion is code speak for “we can’t arrest the government” …therefore “not actionable” in the interest of national security. As for COMEX, I would ask this. Why is it allowed for any institution or group of institutions to sell in 30 minutes, twelve times the amount of paper contract gold than is claimed to exist for delivery? The December month alone looks to be quite problematic, why is this practice allowed as a failure to deliver could be created by a mere 1,500 contracts? Is the final solution a force majeure and just go on down the road? As for you as an individual investor, can you see the danger here? A failure to deliver or a “caused” failure ending in a force majeure will be catastrophic. The candy store will be closed …and then what? Do you really believe metal will be available for you to purchase at any price even resembling the current? I have said all along, the entire game will change when the last ounce available for delivery is gone. When I say the “entire game” I am speaking to ALL of it. When the fraud in gold is exposed and understood, do you understand that the confidence in the entire financial system of dollars, Treasuries and all the rest will be broken for our lifetimes? To finish, much of what we see in our daily lives is nothing more than a fraudulent mirage. Our way of life and standard of living depends entirely on this mirage and collective madness to continue. However, some very ugly truths that come naturally as a gift from Mother Nature herself have been appearing. These “ugly truths”, each and every one of them should be an impossibility in logical nature but they exist and are appearing with more frequency. Can you handle the ugly truth?